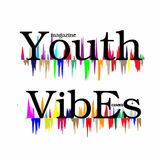 Youth VibE+s is the life style part of E+Media4YOUth media portal, collecting storyes of the participatin youth in different activities under Erasmus+ program and making their dissemination. All materials are made by the participants. The monthly most interesting materials are published in this electronic magazine, using the most innovative ISSUU platform as the most popular among young people in Europe and the world. The electronic edition is full of well-selected photo and text materials that makes reading enjoyable and useful to you. The electronic edition is full of well-selected photo and text materials that makes reading enjoyable and useful to you. My EVS journey… It started the first day of February, when I reached Sofia. Gokhan-one of the EVS´s- was there to meet with me and show me where the accommodation is. I went to attend a sessions with Ivan Tinev – the president of ICDET alongside with other EVS’s. During my first weekend, I went to see the center of Sofia, Serdika. Also I tried to get to know Druzhba better at mornings, because this is the neighborhood where I will be living during my EVS. On Monday, the team surprised me with “Welcome to Burak” session and we all went to Serdika. The next day, we met a guy named Dimitri Karlovski. He told us about a festival that they were organizing at the weekend. He mentioned that they need some extra help with the preparation. We offered to help. of couse. When we left the office of Dimitri, I attended the Free Sofia Tour with Gokhan. It was very helpful to understand the atmosphere of the city, and thanks to the tour I did. Dimitri showed to Gokhan and me the place for the festival and we helped with the decoration. We got a preview how to prepare a festival, it was nice. Ivan had a guest from Slovakia. His name is Lubomir. We met him and spent time together. At the office Ivan Tinev gave a presentation about Erasmus+. Then Lubo made a session about Personal Development and Youth Exchange. It was important to understand the Erasmus+’s subbases. We shared our experiences about Erasmus+, Youth Exchange and Volunteering Service. After a well spend night of partying, we worked on our personal projects and help each other. When we were done with our work in the office, we went to a place called ”Scandal” with Lubo, Yagmur and me. But it wasn’t like what we have expected – scandal. The following day we went to the festival to help and Lubo was with us. We spitted in two groups. Oyku and I helped them by giving prizes and gifts. Yagmur, Gokhan and Lubo helped them in other place. During the night Oyku, Lily, Lubo and I did some social activities. It was a good opportunity for us to have such an experience in a big organization. The following week, we started to talk about weekly activities and midterm plans. Then Ivan Ivanov facilitated Culture Shock session. The session was really important to make us more tolerated and adapted to our EVS processes. The next day we made a mentor meeting to discuss some topics. Then we had a Bulgarian class. It was one of the key session for us to understand Bulgarian culture and language better. In this session we learnt Greetings and simple phrases to communicate. At the end of the day, we made a live broadcasting called “Doors Open Day”. So at night, we went to a place where we can tasting Bulgarian traditional food. This was a good opportunity to meet other people. Before we went to Martenitza workshop, Lily and Ivan gave presentation about the Bulgarian culture, food and traditions. In there, we met lots of people from the other nations. The place was very diverse so it was a good experience for us. During the final day of this term, we met a girl named “Tanya”. And we had two shootings about share and explore. At the final session, we wrote the weekly evaluation form. I was so happy when we had an extra free day becasue we worked at festival last week. First day i stayed at home to rest. Next day i went to the mall and i went out during the night. The last free day I tried to discover some places in Sofia. The first day of the week we made mentor meeting session to solve some accommodation problems. And after that session we and Aleksandra discuss about the activities that we want to do together. At Tuesday, I made an English Class session with the girls which I met at Sunday. English Class Session was doing Sofia tour with the same girls. Others did shootings in Kaufland for the Bulgarian Class Session. It was a challenge that is needed to find a specific Bulgarian labeled food. It was beneficial for the girls and me. After that I came home to rest. At Wednesday, we discovered some local places to eat different food with Aleksandra. It was helpful to learn some good quality places in Sofia. At Thursday, we made some preparations for our own personal projects. Then, we made a session to learn more about Youthpass and Europass with Zachari. And the final day of week, we made some cruising about personal projects and weekly schedules. And, for the next week, we made some preparations. For the rest of the day everybody focused on their own personal projects. The first coordination meeting of the KA2 project “Standing up 2 FGM” took place in Hammamet, Tunisia in the period 16-21 February 2019. Representatives from each one of the partner organizations (from Bulgaria, Macedonia, Tunisia, Egypt, Jordan, Germany and United Kingdom) met to plan the following activities of the two years project. The project aims to develop the skills of young people in the field of human rights in the Mediterranean, through practical sessions in the promotion of human rights in general and the rights of women in particular through their empowerment in society. Participants in the project will have an opportunity for Common Dialogue, state studies, capacity building, exchange of experiences, knowledge and skills. The activities planned in the project include non-formal leading methodology, learning by doing, job shadowing’s, creation of workshop, training of trainers and coordination meetings. The project will build strong relationship between organizations in Europe and Tunisia. It will create a network of organizations from Europe and Arabic countries in the area of fighting FGM (Female genital mutilation). On the first day of the meeting, the partners got to know each other better, represented themselves and their organizations and their role in the project. Theyâ&#x20AC;&#x2122;ve talked about the situation with the FGM and women rights and the violence against women in their countries and the most common problems and fears among women. 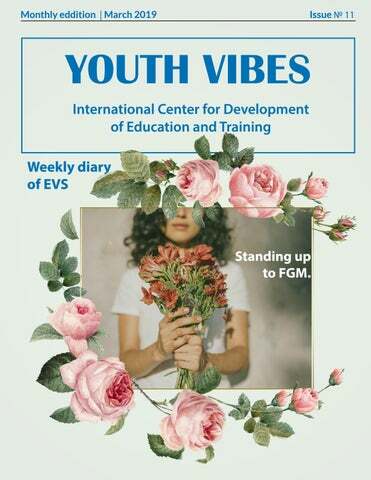 Theyâ&#x20AC;&#x2122;ve found many similarities connected with the topic in all of the partners countries and came to the conclusion that something should be changed, and someone has to help the women victim of violence or FGM. The partner organizations representatives divided the tasks and the responsibilities among them. The project team will work on concrete development objectives like: > Capacities in work with FGM; > Work with cultural activities in reaching larger audience and local communities; > Work with ICT and social medias; > Development of modular trainings and materials; > Sharing skills and knowledge on practical work on support of woman rightâ&#x20AC;&#x2122;s; > Development of guide, videos, data base of trainers, training modules and web page; > Create a strong center for work with FGM in Arabic countries; > Training and educating youth leaders/workers that will be skilled to carry out work with FGM; > Improving youth support systems, which will promote youth participation, especially in international context and in work with FGM.